Deep down, we’re all logo aficionados. Some of these are excellent. I took this a few nights ago. The Bat signal didn’t appear. 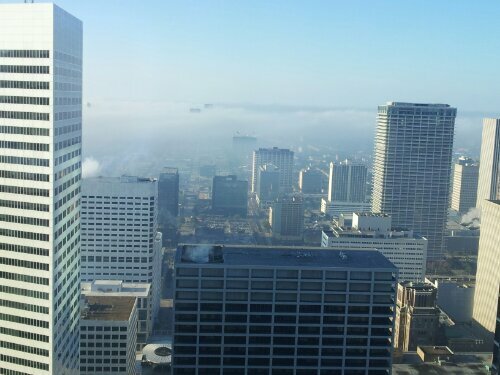 This morning there was a low-hanging fog in Houston. If you look in the back of the photo, you can see two buildings poking out of the fog. A defense of Beyonce, not that she needs it.